Different patterns can be added to your home’s decoration but the usual ones that homeowners and designers prefer are stripes and polka dots. 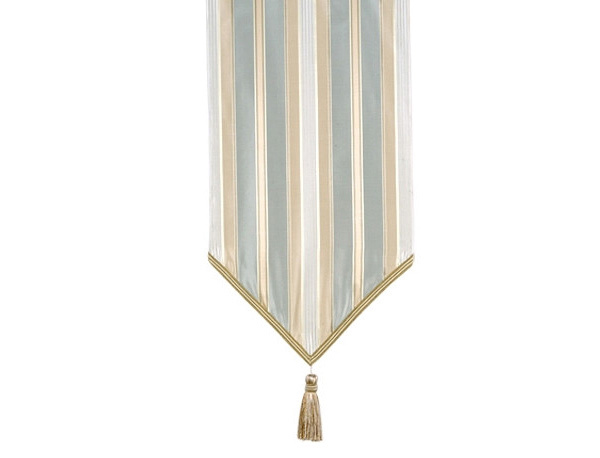 Stripes can seamlessly add beauty to a room even just with an addition of a small item with stripes on it. Many people also have a thing for stripes. 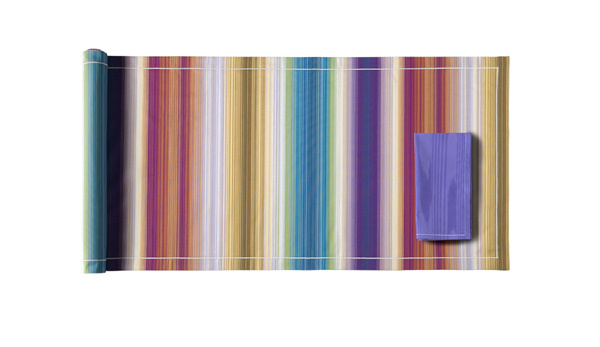 Others may look at it as boring but creative people have added some twists to stripes in various ways like combining different colors and textures together. 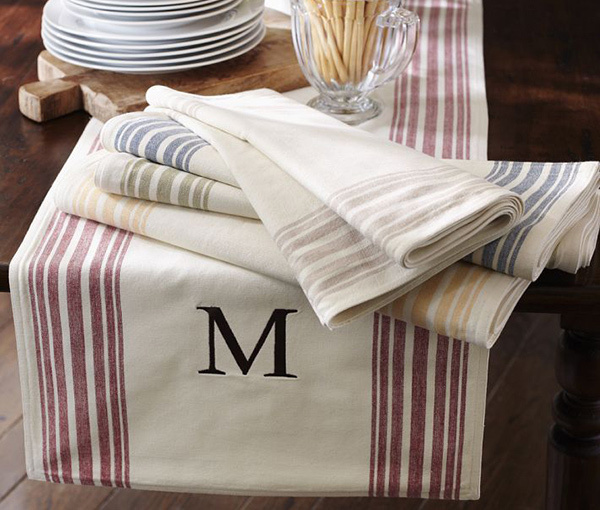 A table runner with a simple monogram on it but this one can highlight any type of centerpiece. 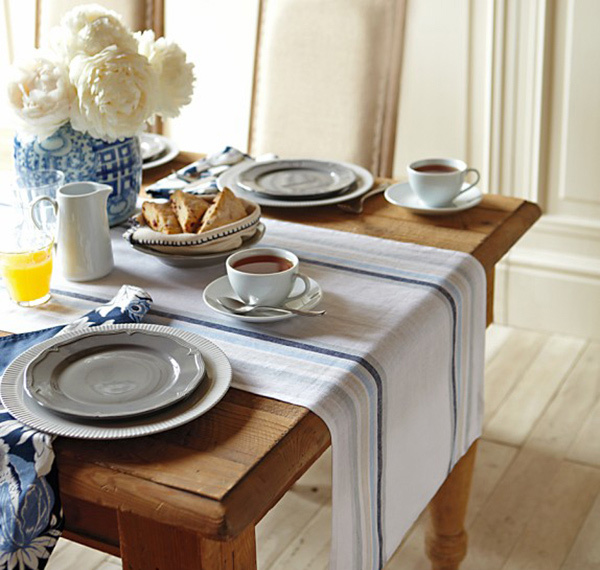 Add a welcoming and warm touch to your table with this cotton runner that features a classic herringbone weave. Shades of green are creatively used for this 13″ x 49″ table runner. 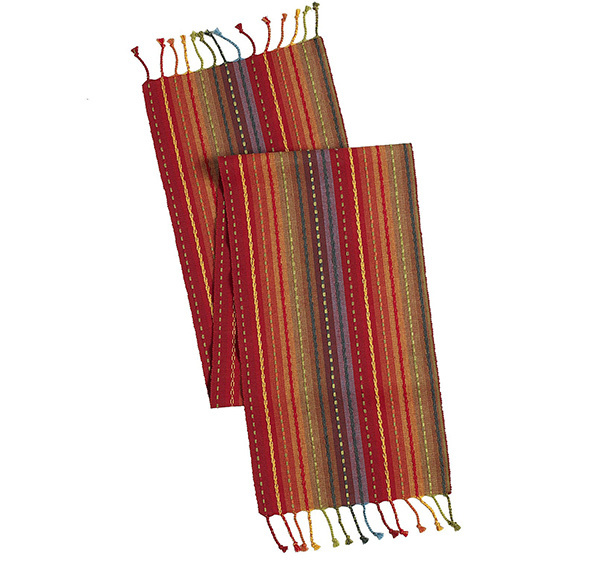 Like a colorful sunset, this hand-woven table runner from jute and cotton could add life to your table. 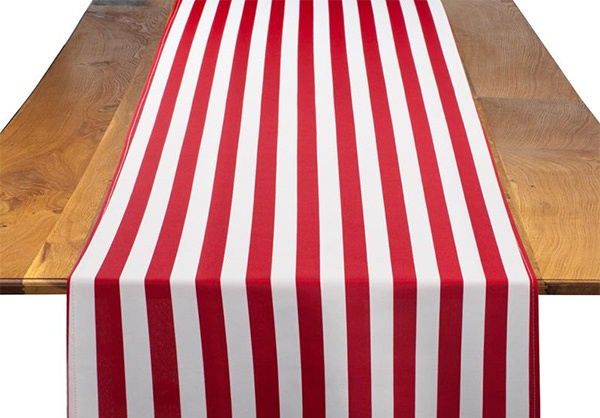 In red and white, this can be perfect for whatever kind of table set up you want. 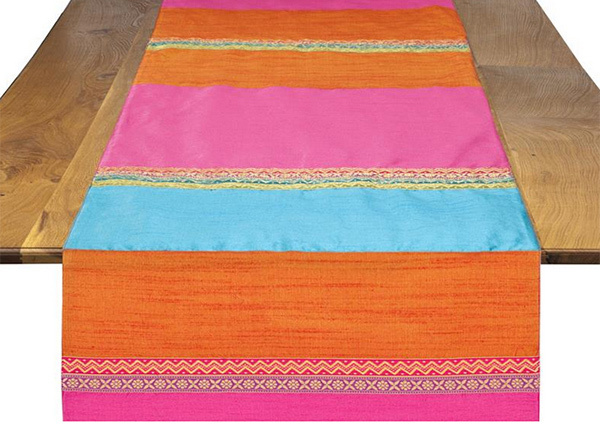 Bring in a Moroccan touch to your room with this colorful cactus silk table runners. 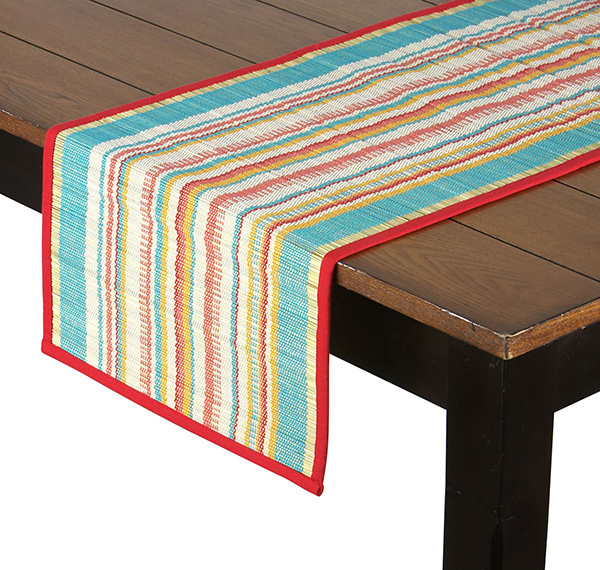 Give your table a fab looks with this colorful table runner. 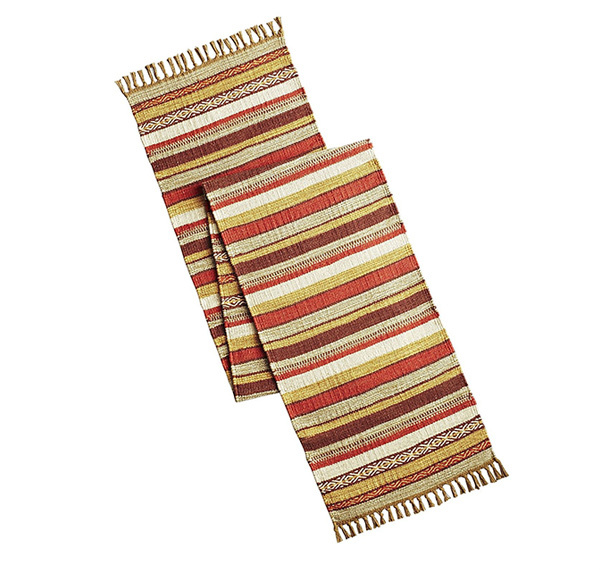 Rich in earth-tones, this table runner can add an autumn feel to your space. 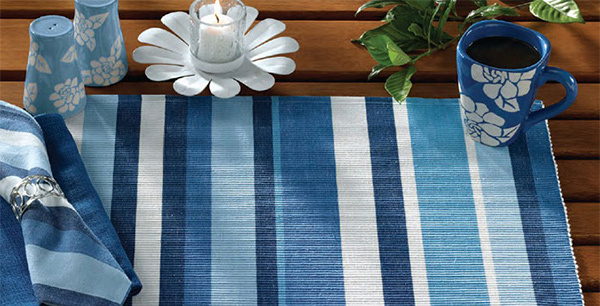 A table runner in cool blue and white palette. This is no doubt a cool addition to your table! 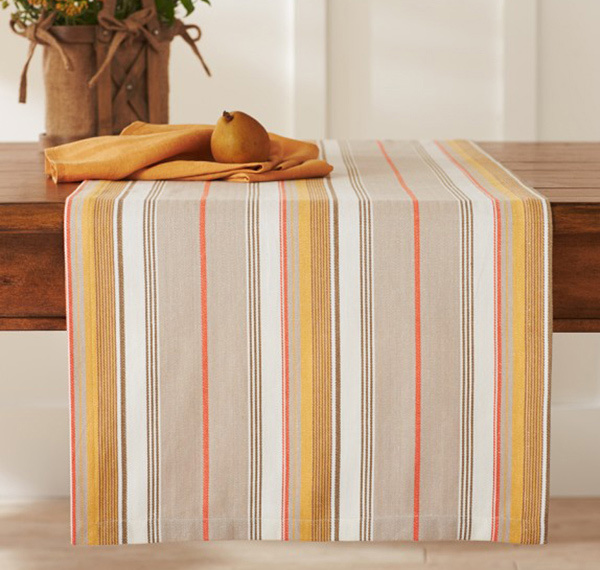 An array of stripe colors are seen in this table runner made from natural fiber. 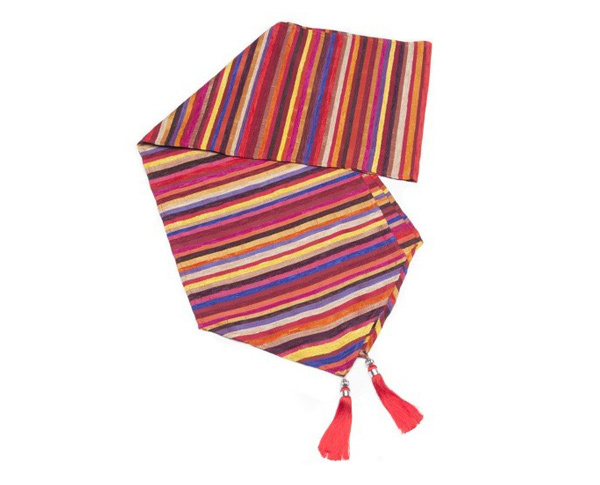 A striking table runner with a bright bursts of fuchsia, orange and turquoise stripes alternating with gold patterned ribbon. 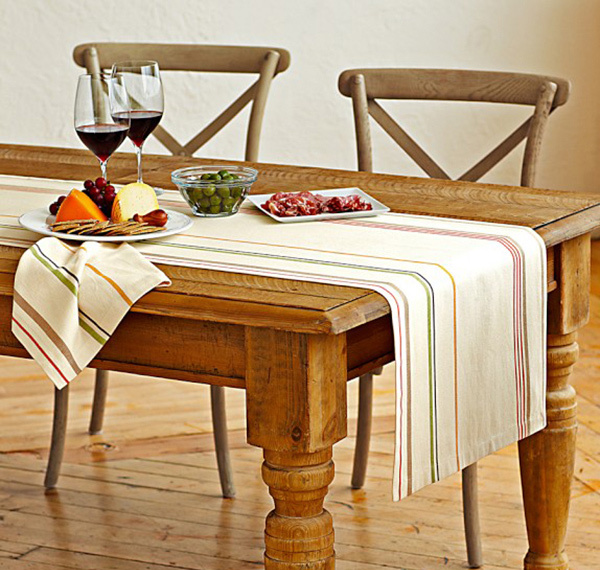 The tonal stripes on this one can add a crisp look to your dining table. 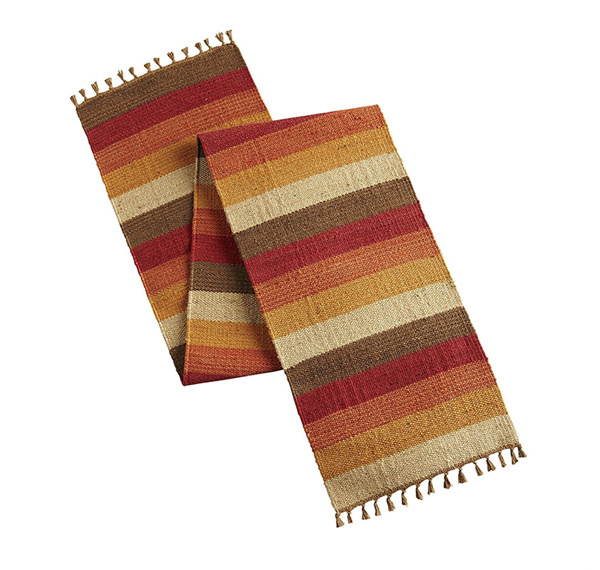 With a hand-woven dhurrie table runner, you can add a neutral decor to your home. 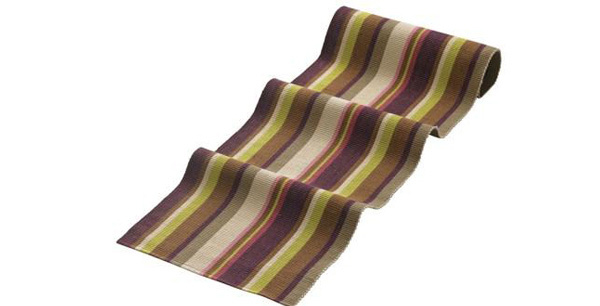 Crafted of machine-washable cotton, this table runner could add spice to a table with its lovely colors. This one has a beautiful piecing and trimmings. It also has decorative fabrics on both sides. There are people who really love stripes. This collection will surely give them a huge smile especially that the above table runners are lovely despite the simple usage of stripes. You can also check on table runners with intricate patterns if you want something that is more decorative. Come back for more home design accessories that you can get inspiration from here on Home Design Lover!